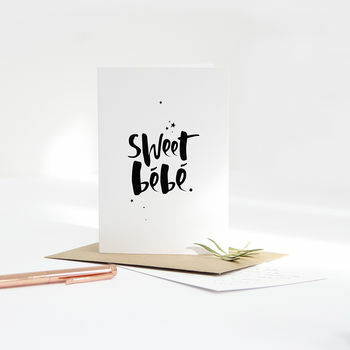 A unique and contemporary hand lettered card in celebration of the arrival of a new baby. This unisex new baby card makes the perfect choice for the arrival of brand new baby. 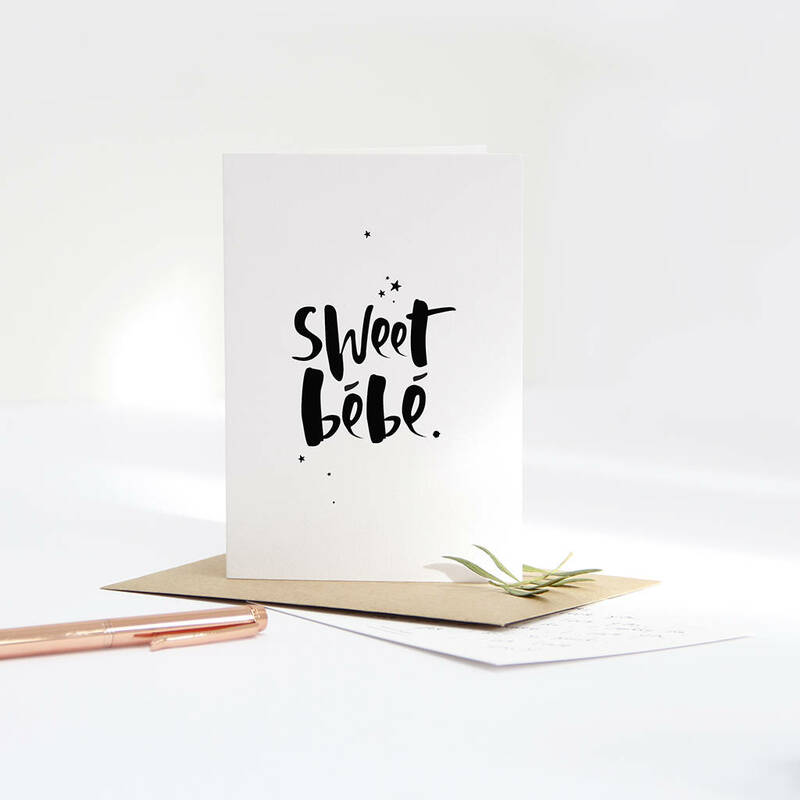 Featuring our classic hand lettered typography, the phrase 'Sweet Bébé' is written in deep black ink for a modern twist. 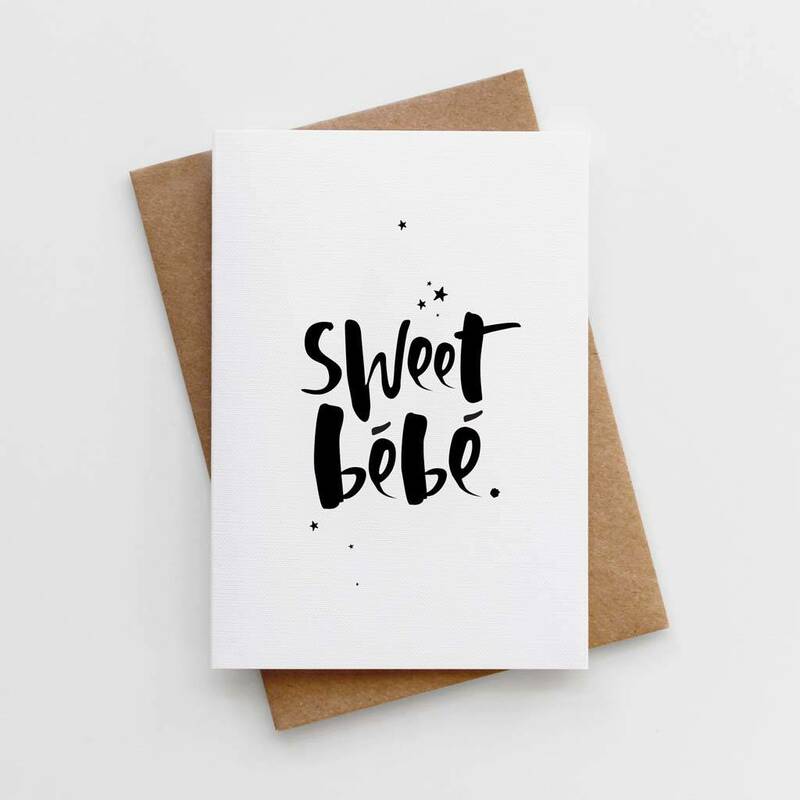 Our unique, contemporary and eye catching designs are printed on luxurious eco friendly, textured 350gsm card and teamed with a recycled 130gsm kraft envelope.